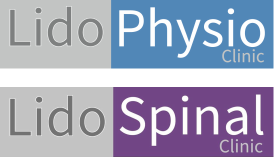 At Lido Spinal Clinic we conduct a full assessment and then use the most up-to-date manual physiotherapy to relieve acute symptoms and establish normal function as early as possible. Patients whose symptoms persist beyond 6-8 weeks or patients who experience recurrent episodes of significant pain separated by periods of various durations can be accurately described as having a chronic or sub-chronic condition. With such patients we conduct a full assessment including a strength test using the MedX equipment. As well as using excellent manual physiotherapy techniques to deal with their acute symptoms we treat them with the MedX equipment to strengthen their back and eliminate the instability that is common to chronic and recurrent conditions. Medical evidence shows that the majority of patients with chronic spinal pain are significantly "deconditioned". This means their spinal musculature has lost strength and the joints of the spine have become stiff from disuse. In effect the spine has become "fragile", it is unable to withstand everyday demands without "going out" or giving increased pain. The Back Clinic directly addresses deconditioning through a supervised intensive and specific strengthening program of the lumbar spine using the MedX® Lumbar Extensor Machine. This approach has been successful for patients with many different types of spinal disorders. In 1993 Newton & Waddell criticised so-called dynamic “isomachines” for their lack of standardised protocols and undocumented outcomes. In fact several studies have since established the reliability of full-range isometric lumbar extension testing and dynamic strengthening using the MedX® equipment. The outcomes that are being achieved at Lido Spinal Clinic and in more than 1000 clinics worldwide treating chronic low back pain patients with aggressive strengthening exercise combined with pelvic immobilisation suggest that this treatment has a major role to play in the rehabilitation of chronic low back pain. Do MedX® results vary according to diagnosis? A study made a comparison of treatment of 412 patients with chronic back pain at two separate centres using the same (MedX®) treatment protocols and outcome measures with a one-year follow up. intensive specific exercise using a firm pelvic stabilisation (MedX® Lumbar Extensor Machine). Risch’s study (SPINE 1993) reported that specific exercise for isolated lumbar extensor muscles substantially increased low-back strength in chronic low back pain patients versus a wait-listed control group. Additionally, increased strength was associated with perceived improvements in physical and psychosocial functioning. Does MedX® work better at strengthening the lower back than other exercise devices? Yes, much better. MedX® uses a patented method to immobilise the pelvis and isolate the lumbar extensors. Research has shown that pelvic stabilisation is indispensable when strengthening the lumbar extensor muscles. How do we know that the strength measurement of the MedX® Lumbar Extensor Machine is reliable? Does strength increase correlate with pain decrease? Yes, it appears to. Although more studies are required to establish method to immobilise the pelvis and isolate the lumbar extensor muscles. Research has shown that pelvic stabilisation is indispensable when strengthening the lumbar extensor muscles. strength improved only for the group that trained with pelvic stabilisation and not at all for the group without pelvic stabilisation (using systems such as Cybex and Nautilus) when compared to the (no exercise) control group. What sort of results does MedX® treatment produce? Several studies have documented outcomes for groups of chronic low back pain patients treated using intensive specific exercise using a firm pelvic stabilisation (MedX® Lumbar Extensor Machine). Studies report that the benefits of treatment are sustained. Can treatment at Lido Spinal Clinic be an alternative to surgery?